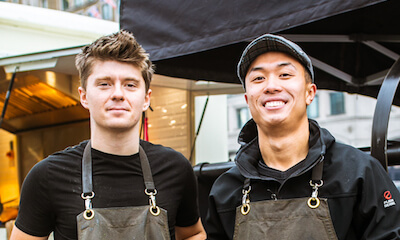 KERB is a membership organisation of over 60 of London’s most delicious street food traders. 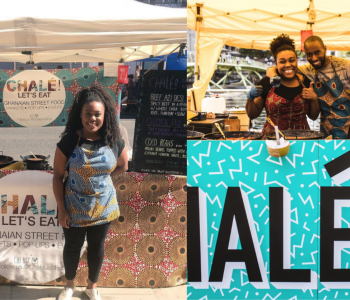 We run lunch markets and events across the city – places where our traders can thrive, our customers can eat like kings and the spaces we operate in can be filled with flavour, spirit and the endless possibilities that being itinerant affords you in a buttoned-down world. 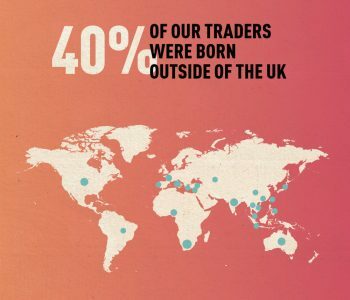 Our home base market since 2011 has been at King’s Cross. July 2011, I’m donning a hard hat, steel-caps and protective eyewear, standing atop a heap of rubble. Before us, a Fraggle Rock-like building site and the just visible emergence of a road being created within it – the future King’s Boulevard and what will become our first regular lunch market. An Argent project manager is describing to me the vision. “Down there will be Camden Council, Network Rail…the German Gymnasium will be a restaurant… Central St Martins opens in September, the Aga Khan might come…“ They are going to fill the estate with interesting restaurants, cafes, bars, engaging public realm, places to linger. This is all about creating a ‘vibrant mix of uses’ to realise The Dream. It’s about Argent putting into practice an urban regeneration policy that enacts its key Principles for a Human City, paving the way for a new iteration of King’s Cross that everyone can enjoy. The old iteration’s time was up. Bagleys and The Cross no longer brimmed with drum ‘n bass, Vicks and hard-won sweat cascading from their iron struts – a semi-derelict hive of havin’ it within a post-Industrial, post Thatcher wasteland. In 2011, food is the new art – the new ‘clubbing’. Events are billing their traders like headline acts and street food is the hot ticket people want a piece of. 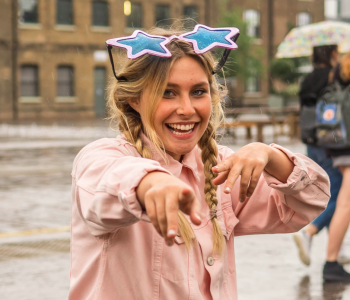 We come in to King’s Cross to draw people up through the fledgling estate and give the area a new narrative. 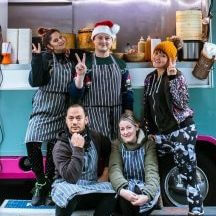 Up until this point we’d been running this on-the-fly street food collective (and KERB predecessor) eat.st, as a kind of hobby on the side of our (not that) real jobs. 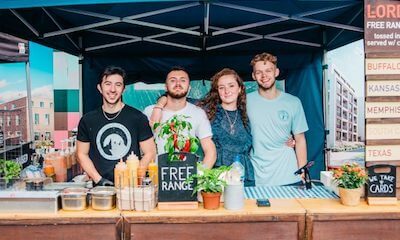 We were traders who loved nothing more than to get out there and sling our food at markets, festivals, parties and anywhere else that wanted it. The idea was simple: find other free-wheelers cooking great food out there on the road, join forces, get organised and make something happen! Defy the reputation of bad food on the streets in the UK, create strength in numbers and bring good people together. KERB (nee eat.st) was the result. We’d had some dice at the Thames Festival and Real Food, and with The Meatwagon down along the Towpath in East London (when Twitter was hype and cloched burgers were everything) but now here was the biggest redevelopment in Europe handing us the keys to a prime bit of real estate in return for ‘enlivenment’. This was a big – and fascinating – moment. A beautiful wooden sign goes up on the hoardings, a rota created, flyer sent round and our traders roll in: Luardos, Anna Mae’s, Bleecker Burger, Homeslice, Choc Star – parallel parking and pitching along the sand-blasted kerb of King’s Boulevard…and just like that a transient community finds a home to grow from. The Rib Man turns up at Midnight, cooking his ribs in the dark, making friends with security, his speakers blasting out Slip Mat and Mickey Finn. Tongue ‘n Cheek brazenly serves whole ox tongue and the Korean students line up in their scores. Donostia pours contraband fino with his pinxtos and people fringe his little blue van like they’re on holiday. 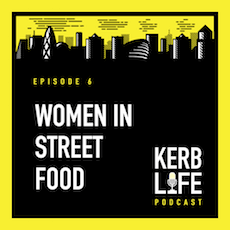 Others fringe the kerb – sitting along it, eating, talking, watching the queues and the cooking and the rhythms of this street coming to life in the midst of a building site. Clustering. It’s good to be outside, making people lunch, making a place feel lived in. Except when it’s bad. Then it’s really bad, but you stagger on. When the wind picks up and the gazebos starts to tip-toe it’s burgers down and all hands on legs. When the rain is lashing down the stalwart punters create a wall so BAO can steam their buns and Kimchi Cult can sort out his bulgogi. Participation is king. Playing a role in an unscripted city moment on a piece of space that no one exactly owns. For those two hours of lunch ownership of King’s Boulevard is a sensual takeover. It inhabits the air with the smell of burgers, souvlaki, BBQ, steak; carried along with it the sound of searing, frying, chopping and shouting. 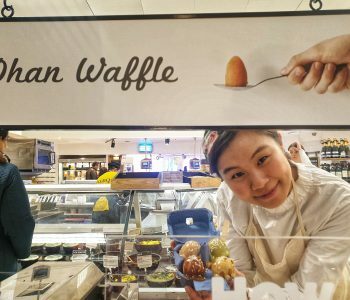 It’s a culinary assault that dares to challenge the banal and the muted, the planned or the assessed. It creates a feeling of being in something and with something that in an hour will be gone, packed away and dispersed in vans to all corners of the city. In the hard city of form, steel and glass we get off on that software. 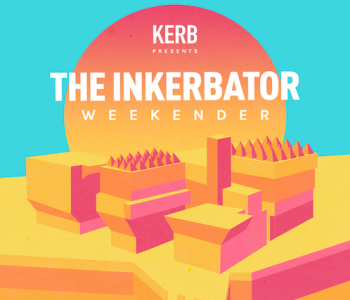 Since that time we have disrupted the senses all over King’s Cross, N1C: parades round the peripheries, parties under the Canopy, Saturdays on Granary Square, Brunch at Cubitt Square. And as the estate has grown and evolved, so have we. Membership has swelled from 12 to 65 today as visibility and viability has increased. We have set up markets and events all over town – public, ticketed, indoors, outdoors, corporate, community, partnership, funded. 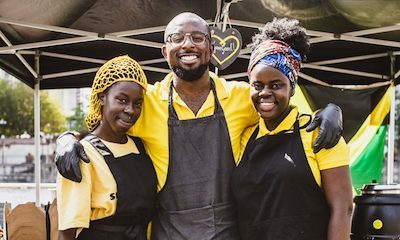 The combination of agglomerating talent, the concurrent ‘street food revolution’ that propelled us (and others) forward, and the access to space to make it happen has enabled us to create a business that has a real shot at becoming part of the fabric of London for years to come. 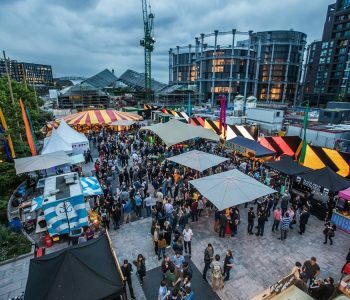 We are going into our sixth year of slinging at KX – in April returning to the ‘Boulevard of Dreams’ where KERB first kicked off. Every day we will present a line-up of brilliant traders, old and new. Our rotas are now created on indescribably complex spread sheets, rather than backs of envelopes and our office is an office, rather than a kitchen table – but for as long as we are on the kerb we will be repping for the start-ups, the great cooks, the food lovers and the trawlers of this city; those who love to see and feel what can be created in the space between these big and multiplying buildings. But come quick, because when it’s gone you’d never know we were there.